QGC has awarded an engineering and project services provider contract for the QCLNG project to WorleyParsons Australia. These services are in support of the ongoing expansion of QGC’s QCLNG development and the annual program of works associated with their existing coal seam gas facilities and the LNG plant in Queensland. This includes the upstream coal seam gas well heads, gathering pipelines, gathering compression and central compression facilities along with the midstream reception facilities, LNG process trains and tanker loading facility. The scope of services includes: concept, FEED, detailed engineering, procurement, construction management, project engineering, project management, operations and field support services. 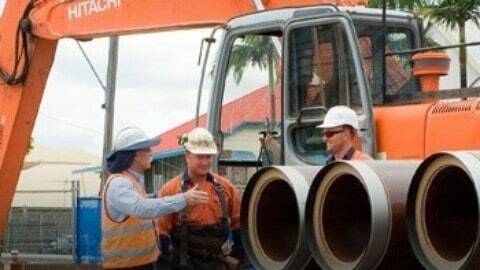 Greenfield and brownfield services will be provided from our Brisbane and regional offices, as appropriate. WorleyParsons’ Chief Executive Officer, Andrew Wood, said “WorleyParsons is delighted with this award as it reflects the success of our relationship with QGC for Phase I of the QCLNG development and the improved solutions we came up with for Phase II. This contract provides the opportunity for us to continue to contribute to QGC’s operations into the future”.